LG has suffered a second consecutive quarterly loss for its display arm, with the bruised and brittle television market held responsible for a 239 billion Korean won (£134.8m) operating loss. 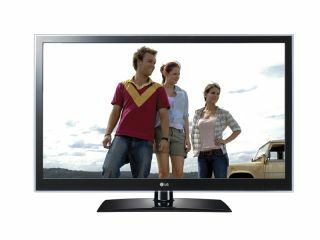 It's tough times for television manufacturers and LG Display has been hit hard, although the losses are not far out of line with what was expected. LG is number two in the display market but the market, along with the devastation in Japan, is hitting sales and the net loss for the first quarter was around £64.7 million. To put the results in context, the result a year ago showed an operating profit of 789 billion Korean won (£444.2m). LG has experienced some tricky recent financial results - including a high profile mobile phones problem - but the Korean giant remains adamant that its broad business will reinvigorate things in the fullness of time. Phones like the LG Optimus 2X are likely to be popular and the company is benefiting from a partnership with Sky in the UK to shift its 3D televisions.